The great thing about your little town is that you are close to great places to eat, casinos and a lot of fun things to do in the Tri-City area with Tuttle and Blanchard around Bridge Creek. You are far enough out that you don’t have to worry about the typical city problems. There are still home invasions from time to time. There are also people that want and have the money to have cool home security and automation features built into their smart phones. Smart home apps and features are booming at a pace never seen before. The entire world is being turned upside down by the recent influx in technology. If we were ever to see a time to get involved in and buy an alarm system for your home or business, I believe now is that time. 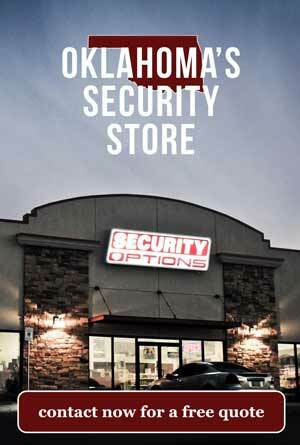 We at Security Options based in OKC have a simple easy to use app that links up with alarm.com. 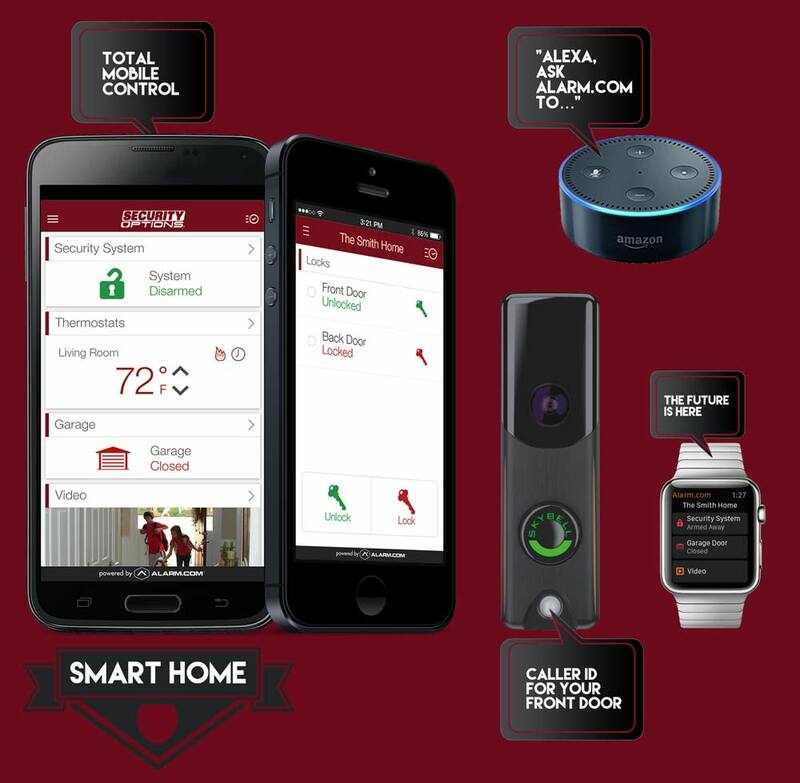 We can allow you to talk to alexa, arm your system from anywhere, control your garage with the push of a button and so much more that was never thought possible. Find your way into your new home. Your new home is a Security Options home. Now it is simpler than ever to take that next step. We urge you to give everyone around us a call and then try us. We promise to try to beat everyone on price first off. But, more importantly we promise to treat you like more than another number. Our customers are what is important to us and we aim to keep them as long as they need an alarm system. We will try to give you what you need, desire or just want in technology or just hook you up with a system that you can easily control to keep your family safe. Low monthly costs and installation fees available if you call today.